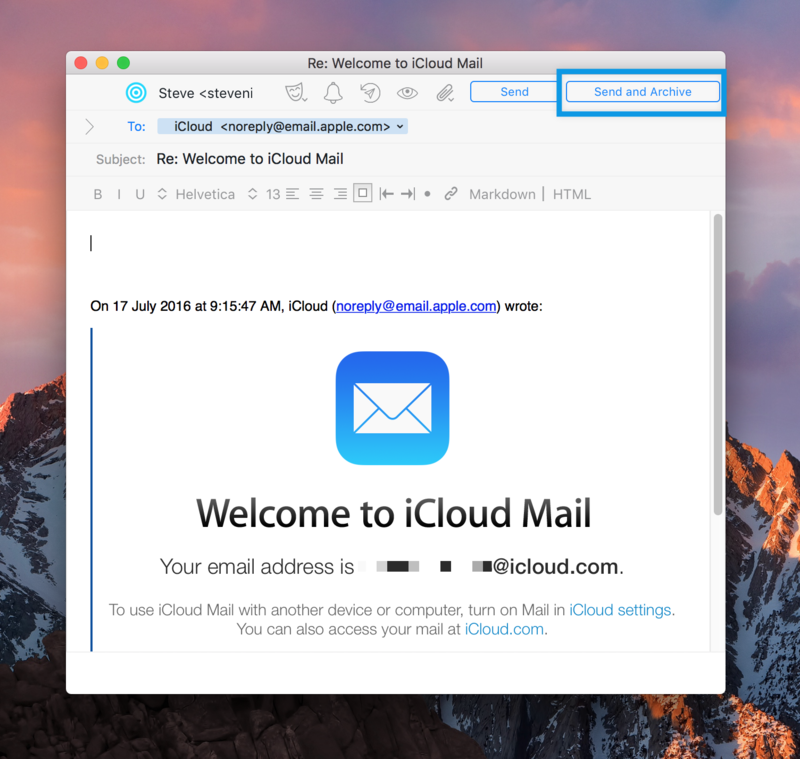 Airmail has this feature to send your mails and archive them upon sending the message. This will let you . helps in achieving Zero Inbox. 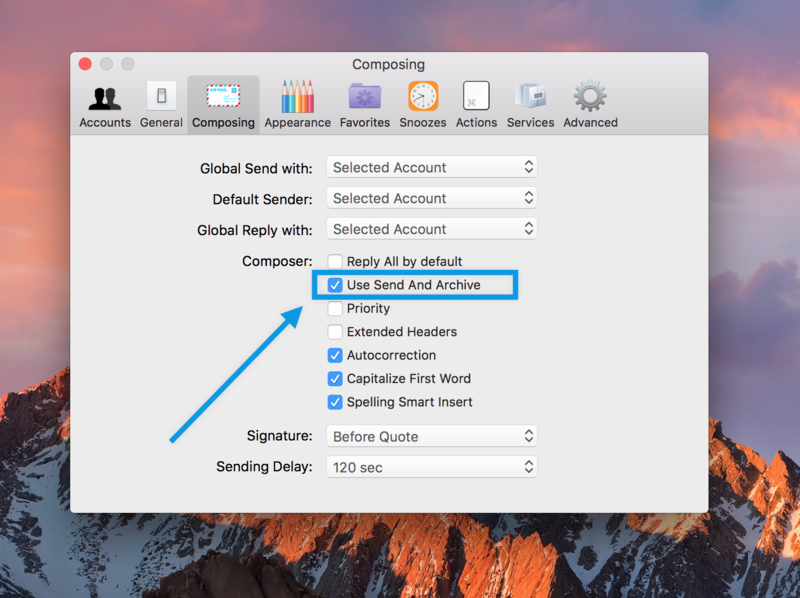 Once you have selected the option, you can easily &apos;Send and Archive&apos; when replying.